While no one wants to live under a rock, we all know that living in a house made entirely of glass is not exactly ideal or safe, either. So, we live in houses with glass windows. Although these windows let in natural light, allow us to see nature from the comfort of our armchairs and cheer up our spaces, they also, unfortunately, make our homes vulnerable to intruders. Consider the following steps to give yourself peace of mind by protecting your house’s windows. Double-Sided Dead Bolts– If your door has a window, then your deadbolt will not do much good in preventing the unwanted entry of intruders. A burglar can simply break the glass, reach in and unlock the deadbolt. A double-sided deadbolt requires a key on both the inside and outside of the door. Although double-sided deadbolts prevent intruders from entering through the front door, they can be a safety hazard. In the event of a fire, you would need a key to exit your home. Glass Break Detection– Part of a complete residential security system, glass break detectors sense when a burglar tries to break your glass. They will sound an alarm before an intruder even has a chance to enter your home. This type of detector often deters intruders from ever entering. Upgraded Glass– Laminated glass breaks differently than normal, window glass. Rather than shattering into millions of pieces on the floor, laminated glass will break more like the glass in your car’s windshield. This requires burglars to expend more time and energy trying to break into your home. Window Film– Window film can be added to your existing glass windows, instead of replacing all of your windows with laminated glass. Window film, when installed correctly, will strengthen your glass, making it react more like laminated glass in the event of a break-in attempt. Roll Shutters or Bars– This is the last resort for many, but they definitely prevent a burglar from entering through the window. Roll shutters are typically connected to your alarm system and close when the system is activated. Bars should be installed inside your windows so that your alarm is tripped when a burglar breaks the window. To truly achieve peace of mind, when it comes to the safety of your home and family, a professional evaluation, consultation and installation is best. 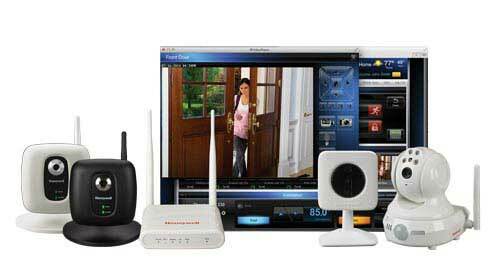 At Arpel Security Systems, we have the experience, expertise and state-of-the-art security equipment to shore up your home’s residential security system against intruders, natural disasters and home emergencies. To schedule a consultation for your home, contact Arpel Security Systems today. Which Type of Residential Smoke Detector Is the Best? How to Conduct a Security Audit for Your Business? Will Installing a CCTV Prevent Crime from Occurring on Your Property in Vancouver? What is the Future of Access Control Systems? Do You Need a Fire Alarm Detector in Your Home?